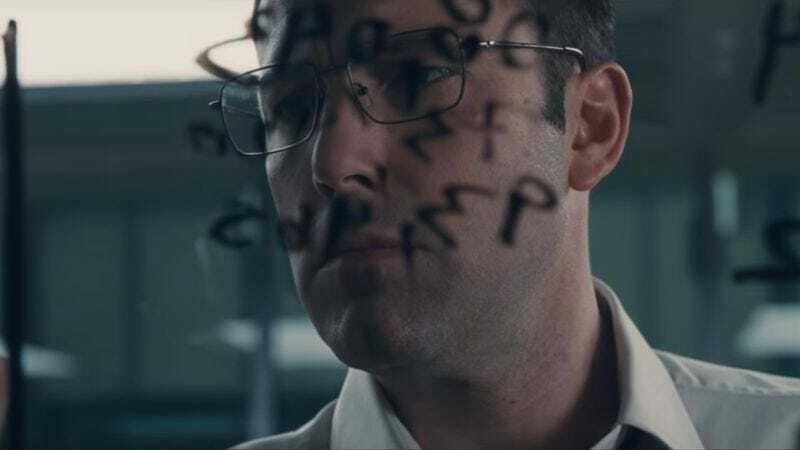 With the exception of The Disappointments Room, the least appetizing major movie title of 2016 might be Gavin O’Connor’s The Accountant, a crime thriller starring Ben Affleck, Anna Kendrick, and J.K. Simmons, due out this Friday. Accountancy is a necessary profession, but it is not necessarily a cinematic one. Still, there is one demographic that might be especially interested in a film called The Accountant: actual, real-life accountants. Uproxx writer Mike Ryan began to wonder if genuine CPAs were particularly pumped about this film, especially after his tweet about the subject garnered some enthusiastic responses from number crunchers. So he embarked upon an entertaining but admittedly not very scientific study. Ryan’s method consisted of cold-calling accounting firms. The results were hit and miss. This is a surprisingly hectic season for accountants, since it’s now crunch time for stragglers who filed for extensions on their returns back in April. “Maybe this isn’t the best release date if the movie is looking to get the accountant crowd, because they are all so busy,” Ryan speculates. Despite getting the cold shoulder more than once, Ryan managed to speak to a few bona fide accountants and gauge their opinions on the soon-to-be-released film. Few expect O’Connor’s movie to be realistic in its depiction of the profession. Real-life accountancy rarely involves heavy gunplay, after all, the way it does in this movie. On the other hand, maybe The Accountant could get more people interested in this line of work. One interviewee points out that Catch Me If You Can raised the profile of forensic accountants, the ones who helped nab forger Frank Abagnale. Ryan can even credit himself with one ticket sale. One accountant said she’d see the movie simply on the basis of his call.